sheldon The offer is so measly. Also if any dividends declared, the offer price will be reduced by the dividends. Better wait for UOB Kay Hian's advise. If they are objective, I believe they would say that it's worth much more. AlfI3 Sheldon, when can v expect UOB's advice comment? It mentions wil it declare dividens too prior to its mgo?? sheldon I've no idea precisely when but UOB KH is supposed to be objective and logical when they give their opinion about the price - usual text book stuff like valuations based on PE and dividend discount model. sheldon Personally I feel that the offer is way too low. If you use the textbook lowest or base case valuation which is NTA, the shares as at end of 2017, it's worth RM3.30. After 1 year of profit, it should be worth even more. My feeling is that KJ probably has been talking down the earnings over the past quarters to portray a company that is ugly so that minority shareholders will just let go at the low price they offer. Can-one wants to buy the company for a song. AlfI3 But how come not at 3:07 oso cant reach, mgo plan not really concrete enuf??? sheldon I believe that the final price offered will be higher than 3.10. Seow brothers & the fund managers are going to demand for more. sheldon AlfI3 Sheldon, when can v expect UOB's advice comment? You would have received the notification of conditional mandatory takeover dated 14 Feb. Independent Advice will be despatched by 24 Feb.
sheldon Fellow investors, 3.10 is way too low - so don't sign! zolasteven If we dont accept the offer and if the offerer achieved 90% or more, the offerer does not intend to maintain listing in klse. This means those still holding the shares are stuck and are unable to sell their shares, correct? sheldon zolasteven - yes but they give the option to Can-one to acquire the shares at the offer price & also the 10% or less minority shareholders to sell at the offer price. lcng123 By looking at KianJoo's yesterday financial result, I think most of shareholders will accept the offer. Yes 1st time in history! What a remarkable coincidence. I expected this. The management I believe is posting a loss so as to encourage shareholders to sell & be grateful with the 3.10 offer. In accounting, it's easy to massage the figures up and down. Don't forget they have a huge amount of properties that are stated at cost. If these properties were marked-to-market the NTA will far exceed 3.30. Do it and see for yourself!!! I advice all and sundry DON'T SELL AT 3.10!!!!! That's a very very steep discount. lcng123 Sheldon I advice all and sundry DON'T SELL AT 3.10!!!!! That's a very very steep discount. 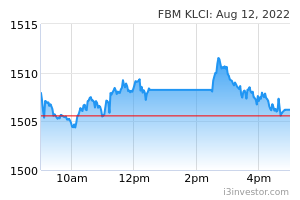 sheldon lcng123 - If MGO unsuccessful, the price of KianJoo will go down to RM2.00 and KianJoo's future financial result will keep going -ve as what happen at this quarter. Can-one has spent a lot of $ on investment bank fees and efforts so they probably want to ensure that it's successful. Profits can be cooked to some extent but not cash (because KJ cannot cook $). Look at the latest cash flow from operations - RM199m! This is a lot. Imagine a company that's been making decent profits for a long time but pay tiny dividends - Earnings exceeding dividends by far - What do you think will be the impact on its valuation? It's like eating 100 kg but defecating 40 kg. - in the long run you'll sure put on weight - likewise the company will become valuable. KJ has been doing just that for a long time and the long suffering shareholders should in all fairness be rewarded for their patience over the years. We only want our fair share - not a penny more or less. sheldon I'm curious to see what valuation UOB Kay Hian will give. Are they going to tell fairy tales & dance with Can-one or be more objective about it. lionel messi most likely will say the usual: not fair but reasonable. what use is such advice to shareholders? for UOB, I guess it's just cari makan. after all, they are paid by Canone to help make it a success. totally agree it's grossly undervalued. unlikely the See family and EPF will sell. wonder what will happen if they get more than 50% but less than 75% of the KJ shares? the listing will still continue? sheldon lionel messi - The UOB Kay Hian report is a matter of compliance to supposedly give minority an independent view. Like you I also suspect on their independence given who pays them. I have more faith in EPF as I'm sure they have follow committee-based decisions. I actually had a chat with one of the See bros & he seemed strangely quiet about this buy-out instead of his usual style of protesting - I let you draw your own conclusions on this. On the > 50% but less than 75%, your guess is as good as mine. sheldon Given that the properties are stated at cost, there's every possibility that if Can-one have secured way above 50% and if they have enough money, they might want to privatise the co and keep the potentially lucrative property all for themselves. sheldon So the verdict by UOB KH is "not fair (because below their valuation of 3.35) but reasonable since it's above market price. It went on to recommend that we ACCEPT the offer. If the shareholding remains between 50 - 75%, then the Offeror intends to maintain listing status but will not take any steps to maintain public spread. It also stated that non-compliance will NOT automatically result in delisting. Right now, all we can hope for is either 1) a better competing offer or 2) that the Offeror will make a fairer ie better offer. zolasteven If the Offerer has received sufficient shares (>75%) and intend to delist the company, will those shareholders who didnt accept the offer earlier be notified and given a chance to accept the offer (at Rm3.10) before the company is delisted? Or those shareholders will be stuck and cannot their shares anymore? lionel messi yes, not to worry. they will be glad to get as many shares as possible at the rip off price of RM3.10 in order to reach 90% stake when they will invoke the compulsory acquisition right. the worrisome thing is if they get less than 75%, the See family is still a shareholder and they are not going to increase the offer price. then everything will come to standstill. KJ will remain listed and drift aimlessly, profit will continued to be artificially surpressed and little or no dividend will be declared as they don't want to benefit the See family. unlikely Canone will increase the offer as it will be financially burdensome and also because they are hardball, stubborn and quarrelsome people. sheldon With KJ undervalued, Can-one may try to mine its wealth through related party transactions. sheldon Can-one shares doing v well. What's a loss to KJ shareholders is a gain to Can-one! zolasteven Surprise to see Kian Joo trading at rm3.10, same price as take-over offer price. Whats the reason? sheldon zolasteven Surprise to see Kian Joo trading at rm3.10, same price as take-over offer price. Whats the reason? If 3.10, better sell in the market ....can get money faster. zolasteven If you have less than 3000 shares, the transaction charges is about the same as if you accept the offer....transfer fee of Rm10 and courier of rm6...This is the first time I see the price traded is the same as the offer price....usually is a few cents lower. By the way, why does other people wants to buy at Rm3.10? How are they going to make a profit? sheldon zolasteven - By the way, why does other people wants to buy at Rm3.10? If you read the announcement, Can-one is buying large amounts. Why? I speculate they want to get to the magical number of 90% & then forcibly takeover the balance 10% to make it wholly-owned. That means Can-one gets to pocket the full benefit of undervalued real estate.
" the Offeror, at this juncture, intends to request KJCFB to make the necessary application to withdraw its listing status from the Official List of Bursa Securities"
" the Offeror may request KJCFB to make the necessary application to withdraw its listing status from the Official List of Bursa Securities pursuant to Paragraph 16.06 of the Listing Requirements." lachai2004 Likely, Can1 couldn't get the threshold to delist kjcfb! lionel messi Latest announcement from Canone says they already have more than 80% of KJoo. Now they can and will proceed for delisting, no need to reach 90%. Other dissenting shareholders on hearing this will most likely sell their shares to them because no use holding on to shares which are not listed. The 90% threshold if reached is to allow Canone to compulsory acquire all KJoo shares. I am very surprised the See family and EPF were not able to stop this rip off exercise. Maybe they are caught between a rock and a hard place. If KJoo remain listed, it will just drift aimlessly as Canone being the people running the show will not declare dividends or report high profits to benefit the See family. However, I suspect the See family has been buying into Canone so that they can indirectly own back KJoo. This is why the price of Canone has been surging recently. Like they say, if you cannot beat them, join them. sheldon lionel messi - I am very surprised the See family and EPF were not able to stop this rip off exercise. Likewise - i was wondering how come EPF & See did not team up & call a meet to clarify & discuss the strategy in response to this MGO. In my text messages with Anthony, strangely he just advised me not to sell but sign the form to save on brokerage - none of his usual protest. sheldon If you look at Can1 annual report, EPF is not in the top 30. Hence they have interest to ensure that they the get full compensation for their KJ stake. Unlike us, EPF & to a lesser extent the Sees have the gravitas to squeeze more from this acquisition. Smart market players like them must have a plan B. It's in their blood. One workaround is to buy into Canone since it is listed and if it's undervalued. Too illiquid, tightly held and no scrip? Wait till they proposed a massive rights issue to pay off debts. Will be plenty of sellers then. Canone cannot run away from a capital raising exercise because their capital base is too small to support their operations. After the KJoo takeover, they are now in the billion ringgit turnover category. KJoo subsidiary Boxpak is next to be taken over since more than 90% of the shares are held by the top 30 shareholders and little or no trading everyday. Makes sense to delist since it's way below book value, consolidate the whole operations and move away from all the compliance issues. sheldon Cheques will be issued on 1 Apr. they pay us with cash money or cheque ? send cheque ? ? ? sheldon Your cheque is probably in the mail. sheldon So I guess this is where we say our goodbyes. No more KJ if it's delisted. ctooi51 ok.. cheque just received and bye bye to the conman of canone.